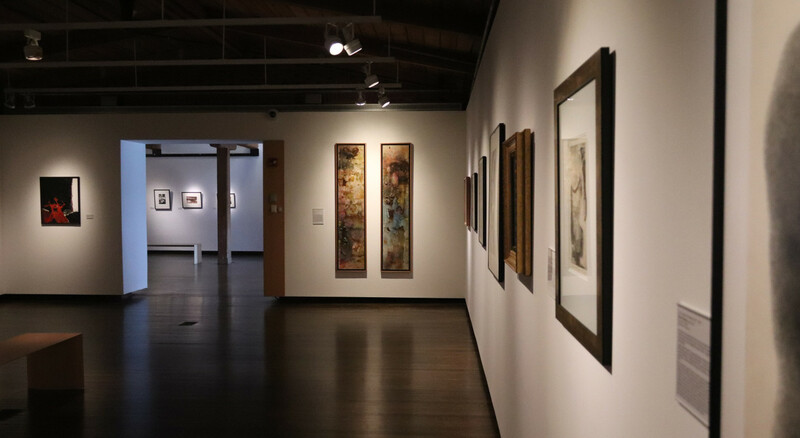 Hales is excited to announce the inclusion of works by Frank Bowling in the exhibition From Color & Form to Expression & Response: Abstract Art at University of Delaware. Since the early 20th century, abstract art has prompted audiences to consider how the materials, shapes and subjects found within an artwork form the viewer’s response to it. Abstract art provides a two-way encounter between the artist and the viewer; the meaning is a combination of the artist’s process and the viewer’s reaction to it. Through this exhibition, explore how abstract paintings, drawings and sculptures can engage viewers and garner reactions ranging from visceral and emotional to conceptual and intellectual through the power of color, shape, material and line. The artworks on view highlight a wide range of abstraction, from geometric compositions, to amorphous works, to minimal field compositions, by artists including Frank Bowling, Floyd Coleman, Earl Hooks, Lee Krasner, Sol LeWitt, Howardena Pindell and Jack Whitten. Beyond their own subjective response, viewers can find ways of understanding abstract art by learning how to identify recognizable shapes, familiar style techniques and potentially evocative titles.